Nikon today officially announced two new zooms in their line-up. 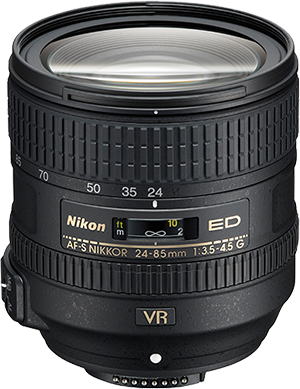 The AF-S NIKKOR 24-85mm f/3.5–4.5G ED VR and the AF-S DX NIKKOR 18-300 mm f/3.5-5.6G ED VR super zoom. The new 24–85mm f/3.5-4.5 falls nicely between the 24-70 f/2.8 and 24-120 f/4 and makes for a nice and light alternative for both. The 24-85 has 16 elements in eleven groups of which three elements are aspherical and one is an ED. Unlike the two other options, the lens does not have the special nano coating, it has VR, however (which the 24-70 doesn't have). It measures only 78x82mm en weighs just 465 gram so a pretty compact design. The lens should be available from the end of this month at a price of €619. 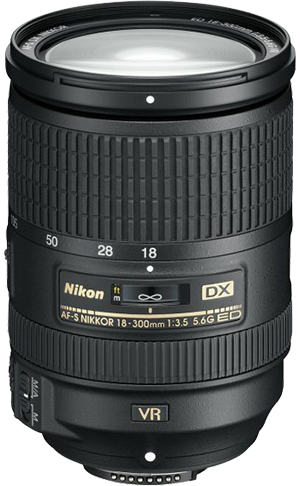 With the new 18-300 f/3.5-5.6, Nikon bests the current super zoom champion Tamron who's super zoom “only” goes from 18 to 270mm. The lens is designed for DX crop bodies only where it's zoom range becomes a whopping 27-450mm!